Main en-GB Opinions What To Expect From Uzbekistan’s New Concept Of Foreign Policy? The foreign policy changes delivered by Shavkat Mirziyoyev created unprecedented buzz around Uzbekistan among the international community. In his two years of presidency Mirziyoyev has been able to mend the relations with all the neighbors, significantly ramp up the engagement with Afghanistan to help solve the ongoing conflict there, and enhance cooperation with regional and global powers: Russia, China, and the US. In this regard, the latest hype in relation to Uzbekistan’s foreign policy has been around the new foreign policy concept. Mirziyoyev has tasked the Institute of Strategic and Interregional Studies to develop the new concept in collaboration with relevant ministries and submit it on 1 October, 2018. Such buzz is not unprecedented in the history of Uzbekistan’s foreign policy. The current and the first ever concept paper in the sphere of foreign policy generated a similar excitement when it was adopted on 1 August, 2012 – and delivered two major points. First, it established military neutrality by banning joining politico-military blocks, hosting foreign military bases, and sending troops to take parts in conflicts abroad. Second, it declared Central Asia as a priority region of Uzbekistan’s foreign policy. These changes were drastic at that time and set the bar high for the successor documents. Additionally, considering all the foreign policy developments under the new president, the anticipation around the upcoming concept has been high and produced numerous questions. Answering these questions, as well as providing general forecast on the possible changes the upcoming concept will soon introduce, requires two things. First, it is necessary to explore the reasons behind the adoption of the first concept, in order to understand the driving factors behind adopting military neutrality and prioritizing Central Asia. Second, it requires examining the consistency with which Mirziyoyev has pursued the foreign policy vector established by the current concept, for this examination will enable to discern the actual differences between Karimov and Mirziyoyev administrations with regards to foreign policy goals. The 2012 concept paper had three articulated ‘NOs’. First, it banned joining military alliances. Second, it banned the deployment of foreign military bases on the territory of Uzbekistan. Third, it banned sending troops to participate in peacekeeping operations or any military operations abroad. Additionally, the concept paper declared Central Asia a priority for Uzbekistan’s diplomacy and hinted at the future intensification and enhancement of relations between Uzbekistan and its neighbors. It also declared Uzbekistan’s vision to resolve regional conflicts. The concept paper advocated diplomatic means to settle regional disputes and non-interference by external factors into these processes. This concept paper was not Karimov’s short-sighted personal whim. The decisions made within the document were long-term oriented and reflected Uzbekistan’s intentions to better maneuver geopolitical context and regional challenges to effectively pursue its national interests. Uzbekistan’s increased focus on Central Asia came with the consideration of its geography. The denotation of the region as a priority recognized the importance of its neighborhood for prosperity and security in Uzbekistan. It is the only Central Asian state that shares borders with all other Central Asian states, including Afghanistan. Some foreign policy analysis scholars argue that the more borders a state shares with other states, the more likely the chance of conflict erupting between them. Border demarcation was and remains a sensitive issue, especially with regards to contested territories with Tajikistan and Kyrgyzstan. The document’s focus on Central Asia was aimed at eventually solving the long-standing territorial disputes and preventing conflicts over them. The decision to become military neutral was also structured by the geography aspect. Uzbekistan is located in the overlapping zones of influence by Russia, China, and the US. Historical, cultural and economic ties connect it with Russia in addition to being located in the region which Russia considers its backyard. The US engagement in Afghanistan, Uzbekistan’s neighbor, has led to the increased US efforts to engage with Uzbekistan and build friendly relations with the country. China is the biggest economic influence in Central Asia, its trade and infrastructure projects have certainly tilted the regional states in the direction of Chinese influence. Uzbekistan’s decision to be military neutral was and remains its own attempt to balance great powers and pursue multi-vectoral foreign policy. However, in contrast to Kazakhstan’s approach, which emphasizes deepening cooperation and multi-faceted integration, Uzbekistan has distanced itself to the point from which it can maximize its gains by harnessing the opportunities presented by the competition between global powers. Uzbekistan’s natural resources also played an important role in prioritizing Central Asia. Their abundance, lack, or complete absence is decisive in foreign policy. Prioritizing and greater engagement with its neighbors outlined in the document were implicitly directed at solving the conflict between upstream and downstream countries over water resources and their distribution mechanisms. Given the fact that political leadership in Uzbekistan did not change in 2012, when the concept was adopted, the country’s shift of focus to Central Asia was mostly tied to Uzbekistan’s growing concerns about the prospects of its economy being badly damaged due to possible water shortage, should Kambar Ata 1 dam in Kyrgyzstan and Rogun dam in Tajikistan be completed. The decision to pursue military neutrality and to focus on Central Asia was in the economic interests of Uzbekistan as well; it crucially needs good relations with the neighbors for economic development. Its landlocked status translates into the need to use its neighbors’ transportation networks to reach markets overseas whether through land or sea. Russia and China are two of Uzbekistan’s largest trading partners, and the country does not share border with neither one of them. One of the shortest routes to the sea is through Iranian ports, and getting to Iran involves going through Afghanistan, another neighbor of Uzbekistan. Good relations with the neighbors are also important for trading with them. Prior to the adoption of the concept trade with Central Asian countries has fallen significantly low. These developments suggested expanding economic cooperation with Central Asia and Afghanistan, for it diversified the country’s trading options. The policy of military neutrality pursued far greater objectives that military alone. It substitutes a part of Uzbekistan’s larger policy of non-alignment and not falling under the exclusive zone of influence in an attempt balance between the interests of its largest political and economic partners. 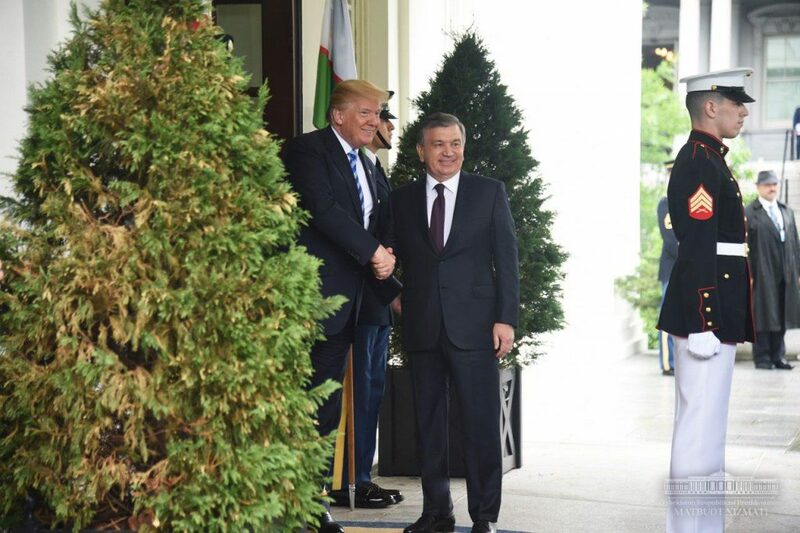 The foreign policy developments under Mirziyoyev have often been referred to as ‘new era’ and analyzed separately from the policies of his predecessor Karimov. While it is true that Uzbekistan’s new foreign policy bears little resemblance with Karimov’s approach, it is still an execution of the plans set in 2012. Thus, Mirziyoyev’s foreign policy goals are extensions of the foreign policy course set by Karimov administration in the 2012 concept paper. Uzbekistan’s new military doctrine adopted on 9 January, 2018, cemented military neutrality first declared in the 2012 concept paper. Similarly, it bans joining military blocs, hosting foreign military bases, and sending troops to participate in conflicts abroad. This came as evidence that Uzbekistan’s first foreign policy concept spelled out long-term vision based on national interests – and not Karimov’s short-sighted personal whim. One of the two most important declarations in the concept has now become an integral part of Uzbekistan’s military doctrine. Mirziyoyev has carried on with the policy of non-alignment and balancing between great powers through balanced engagement with China, Russia, and the US. The only difference under Mirziyoyev has been the scale and intensity of cooperation with these powers. Karimov also attempted to lead multi-vectoral and balanced foreign policy but has not been able to do so on the same scale and with similar success. Mirziyoyev’s state visits to Moscow, Washington DC, and Beijing, which have been reciprocated by the leaders of Russia and China, resulted in enhanced political and economic cooperation. Uzbekistan has extended its good relations with South Korea, the main investor into the country’s automobile industry. It has also reinvigorated relations with Turkey, after a long thorny period during Karimov’s rule. The new administration has materialized the focus on Central Asia and the promise to make the region a priority for Uzbekistan’s diplomacy. Mirziyoyev stayed true to the established foreign policy course by reaffirming the commitment to engage more with Uzbekistan’s neighbors in the Strategy of Actions on Five Priority Directions for Development of Uzbekistan between 2017 and 2021. The Strategy’s foreign policy sector states that ‘creating a belt of good neighborliness, security and stability around Uzbekistan’ will be one of the priorities of foreign policy. The new administration understands that in order to boost its economy, it “must work with its neighbors to resolve the long-standing border and water issues, restore energy cooperation and transport infrastructure, and liberalize a visa regime.” Karimov understood such needs and laid foundations in the 2012 concept paper; however, he was reluctant to touch the issues, which Mirziyoyev has been tackling since 2016. Uzbekistan’s Minister of Foreign Affairs, Abdulaziz Kamilov stated in 2017 that the country will continue prioritizing Central Asia. Mirziyoyev has made mutual state visits to all four Central Asian states. His visit to Tajikistan was the first visit of Uzbekistan’s leader in the history of Tajik-Uzbek relations since 1991. Similarly, Mirziyoyev managed out to iron out relations with Kyrgyzstan when he visited the country in 2017. Uzbekistan has sought to solve its food security issues through strengthened cooperation with Kazakhstan and establish uninterrupted energy supply through cooperation with Turkmenistan. Another outstanding foreign policy change has been Uzbekistan’s engagement with Afghanistan. 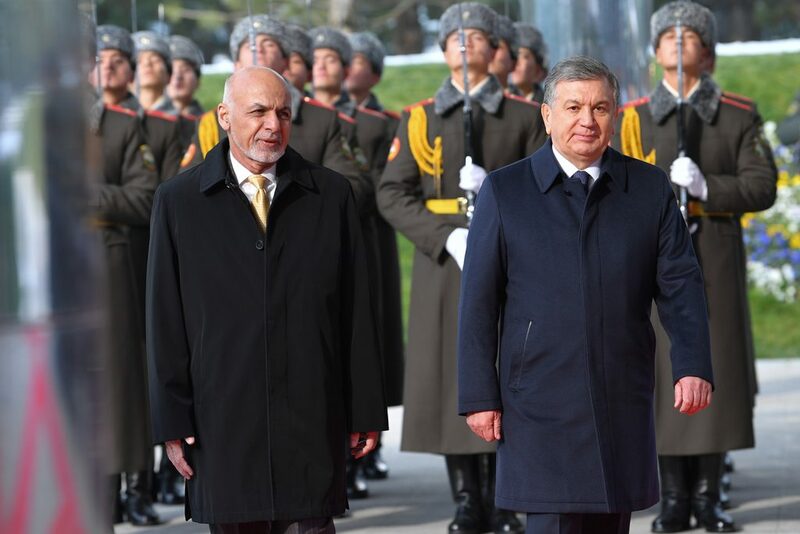 Under Mirziyoyev Uzbekistan has started to view Afghanistan as an economic partner and has offered to host peace talks between the Afghan government and the Taliban. Thus, to preliminary conclude it is sufficient to argue – based on the available evidence – that the foreign policy pursued by the Mirziyoyev administration is the continuation of the foreign policy course established by Karimov. The new concept paper will not introduce any major alterations, and will instead focus on fine tuning and transparency aspects of foreign policy. Military neutrality and the focus on Central Asia charted out in the first concept paper were not personal whims of Karimov; they were structured by the national interests of Uzbekistan. 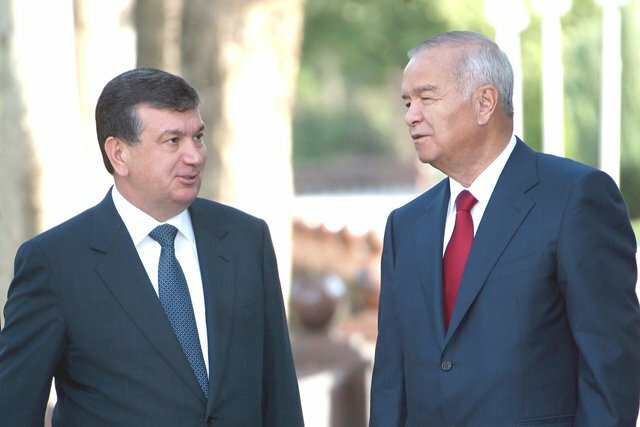 Uzbekistan’s foreign policy under Mirziyoyev follows the course set by Karimov in 2012 and will continue to do so at least for the next 5 years. There any many changes that are indeed significant, but they mostly refer to how Uzbekistan goes about achieving its foreign policy objectives rather than what those objectives are. Karimov recognized the need to pursue multi-vectoral foreign policy based on military non-alignment and bilateral diplomacy. He also saw the need to prioritize Central Asia and better engage with the neighbors. However, due to his personality and/or other factors, Karimov was not quite able to act upon these principles and turn them into practices. Mirziyoyev’s foreign policy course falls in the lane of the 2012 concept paper by cementing its two main principles of military neutrality and greater engagement with Central Asia. The upcoming foreign policy concept will not make any substantial changes to the foreign policy course and objectives, so the expected changes will revolve around the optimization and transparency aspects of foreign policy institutes and processes. There are several recommendations to be made with regards to the foreign policy of Uzbekistan. The government will be wise to remain committed to military neutrality and the wider policy of non-alignment, as well as uphold its engagement with Central Asia, and continue pursuing foreign policy better fit for its national attributes and interests. The competing powers in the region are better off with the current status of Uzbekistan being far and close enough for fruitful cooperation. Abandoning military neutrality will offset the balance of powers and limit the room for political and economic maneuver. Uzbekistan is arguably the most important country in the region, especially in terms of regional economic development. Whereas each country has its own national interests, continuous engagement in good faith from the neighbors is necessary to move beyond the long-standing water and border disputes and rebuild energy and transportation networks. The spoils of such cooperation should be shared fairly with the neighbors, so the regional states, including Uzbekistan, should be ready to compromise and look beyond their immediate personal gains. Zabikhulla Saipov, “New Foreign Policy Strategy Paper Codifies Uzbekistan’s Reluctance Toward Restrictive Alliances,” The Jamestown Foundation, August 10, 2012, http://www.jamestown.org/regions/centralasia/single/?tx_ttnews%5Bpointer%5D=5&tx_ttnews%5Btt_news%5D=39759&tx_ttnews%5BbackPid%5D=659&cHash=6ee08214b592f215153a57cac6f21296#.U23J0YGSyE0 (accessed May 1, 2014). Kirill Sokov, “Pyat prioritetov Strategii razvitiya Uzbekistana [Five priorities of Uzbekistan’s development Strategy],” Ritm Evrazii, February 2, 2017, https://www.ritmeurasia.org/news–2017-02-16–pjat-prioritetov-strategii-razvitija-uzbekistana-28447 (accessed November 26, 2018).